The new, seamless lamination of a high-temperature fabric to a highly-reflective foil is the makeup of Thermo Sleeve, which provides protection from radiant heat for hoses and wires. Thermo Sleeve's ultra-lightweight construction provides more insulation than traditional, bulky, rubber-coated fiberglass. 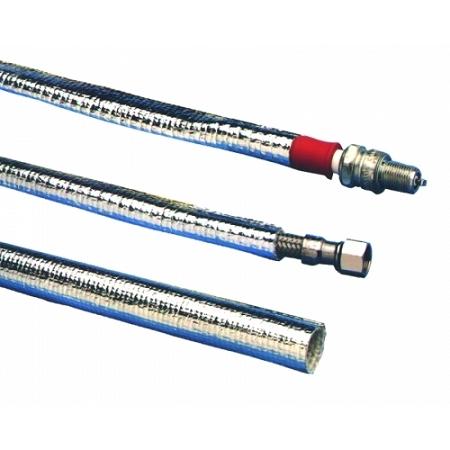 The aluminized sleeving reflects over 90% of radiant heat, and is fireproof and oil resistant. 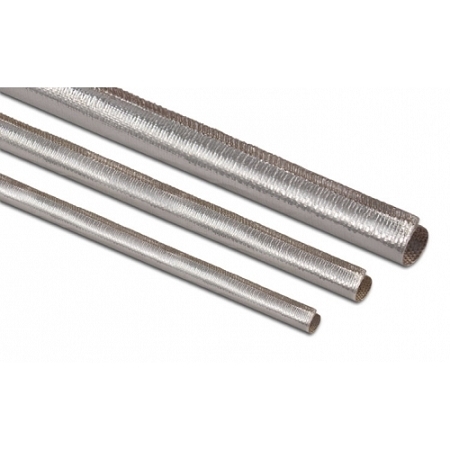 Thermo Sleeve is available in 3, 12, or 50-foot lengths, and five different inside diameters.